9+ Reasons Why Grass-Fed Butter & Ghee in Coffee Rocks! Grass-fed butter is one of the three most important base ingredients used in the original Bulletproof Coffee recipe. We are talking about adding real, yellow butter to coffee instead of adding milk, half and half or cream. Yes, your read that right, coffee can taste amazing plus make you feel great if you add unsalted, grass-fed butter. You need to be picky though. You don’t want to be using the majority of commercial butters on the shelf in your local supermarket. The reason being they are made from the cream of cows who were most likely predominately fed on grains like soy on commercial dairy farms. This means butter is not all the same. 1 Why is Butter Good For You? 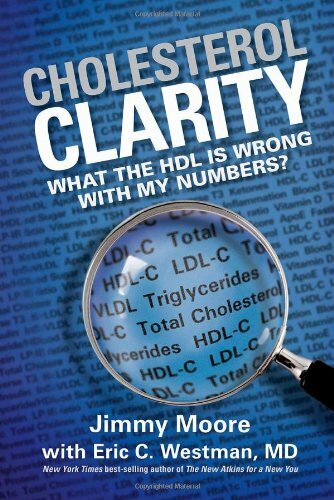 5.3 Cholesterol Clarity: What The HDL Is Wrong With My Numbers? 8 How Many Calories in Butter? Why is Butter Good For You? Butter contains butyrate (a.k.a butanoic acid), which is a short-chain fatty acid that has positive health benefits. These include anti-inflammatory inhibition against NF-Kappa Beta, aiding weight loss and helping to heal inflamed gut lining with leaky-gut syndrome. Check out this cool infographic used by Dave Asprey, the Bulletproof Executive, why he recommends eating grass-fed butter on the Bulletproof Diet. As you could read from the infographic above butter is full of important fat-soluble vitamins like A, D, E and K. However, one of Dave’s top discoveries was that it contains butyric acid, or butyrate, which is a short-chain fatty acid. Help maintain healthy body weight. Researcher, Stephan Guyenet, wrote a comprehensive article about butyrate health benefits. Cows who eat organic grass would make the best butter. However organic butter, by definition, can mean the cows ate organic corn-fed. So organic butter doesn’t necessarily mean it is better than grass-fed butter. Grain-fed dairy cows have concerns for mycotoxins like aflatoxin. In this paper you can read how Aspergillus, Fusarium and Penicillium molds are among the most important in producing mycotoxins detrimental to cattle. The rule is the healthier the dairy cow the better the butter. Cows health like grass not commercial feeds. Ghee is also known as a type of clarified butter. Ghee has some benefits over butter in that the milk protein, casein, is removed in the making of ghee. Ghee also has a higher smoke rate than butter so can be a more Bulletproof cooking oil. Ghee falls onto the green side of oils and fats on the Bulletproof® Diet. You most definitely make a cup of Bulletproof coffee with ghee. Learn to churn your own bulletproof butter At home. Maybe you ran out of some grass-fed butter like unsalted Kerrygold Irish butter and your in the mood to do some food experimenting why not learn how to make your own butter. In the following video The Happy Scientist, Robert Krampf, you’ll get to watch the step by step process in turning the cream from milk into butter. I think you’ll be amazed how simple it can be making your own source of short-chain fatty acids. The Bulletproof® diet wouldn’t include the bread in this video and would only use milk from grass-fed dairy cows. Watch the video below to learn how to make real butter on your own at home. Awesome isn’t it. Go on and try make butter at home one day to teach your kids the benefits of butter in their diet. Watch the video below to learn how to make ghee on your own at home. Another good online source for a ghee cooking instructions is here. That’s it it really is that simple to make your own jar of beautiful caramel tasting ghee. Give it a try sometime to supprise yourself. You may or may not have seen the news, but Time magazine published a dramatic change of view on cholesterol. They show the change in attitude to this nutrient from being very negative to now recommended eating butter. We say dramatic; as you can see in the picture below. You can see how a mainstream media publication has gone from the the January 31, 1961 magazine cover highlighting the view of low fat diet scientist Ancel Keys to the cover of March 26, 1984 “Cholesterol: and now the bad news” to the latest cover story of June 23, 2014 “Eat Butter: Scientists Labeled Fat the Enemy. Why they were wrong”. 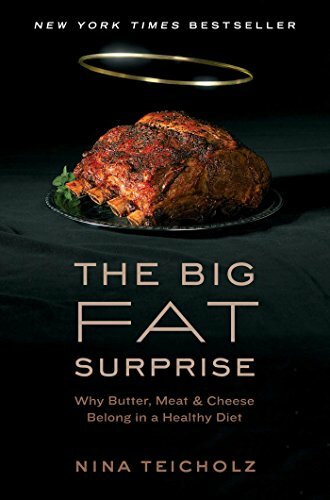 Here are a list of the best books that explain the science behind how eating saturated fat can be good for you. These books are a great resource are written in a very easy to understand way. You don’t need a science degree to understand the research the authors reference. If you are considered about your cholesterol levels from drinking butter coffee on a daily basis then these books will help put your mind at ease. Dr Uffe Ravnskov is giving away one of the books he has written for free to read online. Dr Ravnskov is one of the most well known medical doctors who is a member of THINCS (The International Network of Cholesterol Skeptics). Learn more from a doctor why he doesn’t worry so much about eating fat. Find out why you don’t need to worry increasing your butter consumption or adding so much saturated fat to your diet. Discover how scientific risk numbers can be manipulated to give you a false sense of protection depending on fancy statistics wording. Keep all the research papers in an easy to reference place. Pass this link on to concerned family members or friends who think fat is bad for you. If the 10 myths exposed in this book are not enough proof for you and you want even more up to date information and science then read the next books. Nina Teicholz is an investigative journalist for the New York Times who went down the low fat versus high fat rabbit hole looking for the answers. What she discovered has got people debating their existing beliefs about the perceived danger of saturated fat in our diets. Cholesterol Clarity: What The HDL Is Wrong With My Numbers? Jimmy Moore, the man behind Livin La Vida Low Carb podcast and blog fame teamed up with Dr. Eric Westman to look at the science behind cholesterol tests, what those different numbers mean, which ratio’s you want to know and tests mosts doctors don’t order, but are vital to know. Here are the butter brands that source their milk from grass-fed cows and are suggested best butters to use when on the Bulletproof Diet. Kerrygold butter is made from grass-fed cows in Ireland & is the original recommended butter when making Bulletproof Coffee. It is easily available in grocery stores worldwide compared to some other commercial butter brands. This is important in order to be able to buy unsalted grass-fed butter in Europe, Australia, Africa, Asia or South America when travelling. You can buy unsalted Kerrygold butter packs online from Amazon, or if you are looking for availability in North American stores in different states then use their online store locator. Unfortunately, if you live in Canada then due to import restrictions Kerrygold cannot currently sell their grass-fed butter in Canada only the cheeses. Anchor butter is made from grass-fed cows in New Zealand & is has been the official butter sponsor at the Bulletproof Conference. It is available in both salted and unsalted options. If you are looking to where to buy Anchor butter in the US you buy packs online from Amazon or you can use their online store locater here. It is also available in Europe, but not Canada. You may have heard how Dave recommends 2 tablespoons of butter in the Bulletproof coffee recipe. Hopefully this should clear up any confusion you might have when calculating how much grass fed butter to put in your Bulletproof coffee. If you want to play around with even more butter in your coffee like 3 tablespoons of butter, 4 tablespoons of butter or half a stick of butter and want to know what that is in metric measurements or United States measurements try out the free online weight calculators. This is a handy cooking conversion chart for converting a tablespoon of butter measurement into various cooking units of weight. The values shown in the chart above are from two online cooking unit calculators from here and here. Hope this has helped to answer your question of “What exactly is a tablespoon measurement?” or “How much does a tablespoon of butter weigh in a measurement I understand?”. In the following video you will see a great tip on how to know where to cut a stick of butter into equal measurements. How Many Calories in Butter? In 1 tablespoon of butter there is 102 calories according to the USDA butter nutrition label. If you follow the advise from Dave on the concern of how many calories you eat per day; you can see his experiment of how he ate 4000+ calories per day and still lost excess fat and built muscle. If you get energy from good foods, like butter, that can aid your metabolism to help you lose weight and not get fat. Drinking butter coffee will blow your mind! The idea may seem strange at first. However, once you blend the butter and coffee mix in a blender; you will love the taste from the creamy head of froth & feeling of satisfaction. Go ahead and add some natural butter to your which brewed coffee. It works perfect with any choice of Upgraded™ coffee beans that you prefer, mixed in with one of the Bulletproof MCT oils to choose from, like Brain Octane oil, to supercharge your mind and body for the day.